The perfect location in the heart of West Park Village! 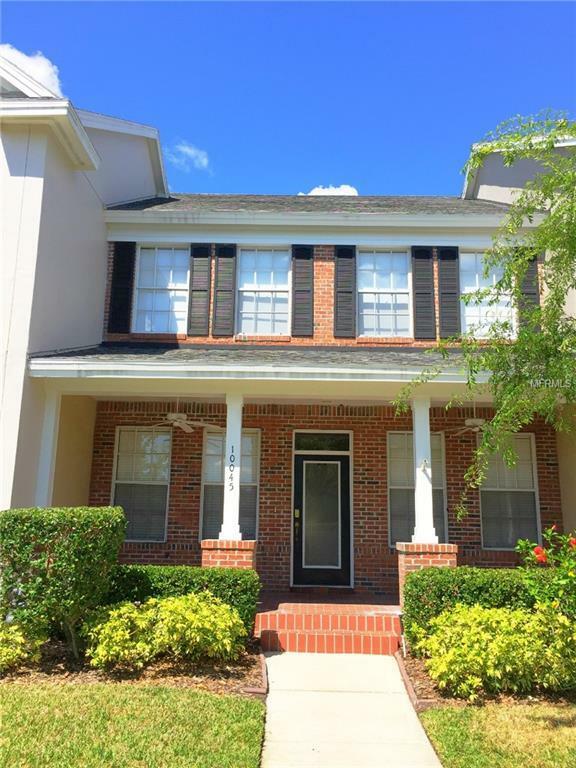 This Westchase townhome greets you with its brick faade, column entryway, and large open front porch. Very functional layout 3BR, 2.5BA plus bonus room, 2-car detached garage, and fully fenced yard. The interior features beautiful hardwood floors running throughout the entire downstairs, separate formal dining room, eat-in kitchen with breakfast bar, solid surface counters, and tons of natural light from the multiple picture windows. Upstairs are 2 guest bedrooms, a full guest bath, laundry room, large master bedroom with walk-in closet, en-suite bathroom, Jacuzzi tub, and fully tiled shower. The back yard includes a screened in patio with gas hookup for a grill and a PVC fenced yard. Absolute prime location near neighborhood park, tennis courts, pool, A-rated schools, and everything that West Park Village has to offer. Call for your showing today before this one is gone tomorrow!